In his maiden independence address on March 6, 2017, President Akufo-Addo took 'Executive Notice' of a yet-to-be passed Right to Information (RTI) Bill for good reason. “It would increase transparency, and add another critical weapon to the armoury in the fight against corruption,” he said. That assurance prompted discerning Ghanaians to wave white handkerchiefs even before the birth of a law that had incubated for 22 years. But what many Ghanaians may not know is that Akufo-Addo's Independence Day assurance to get the RTI Bill passed was not far remote from prophecy and pragmatism. The RTI Bill was the brainchild of the Institute of Economic Affairs (IEA), the foremost public policy think tank in Ghana, which initiated it in 1996. The initiative was inspired by the refusal of the Bank of Ghana (BoG) to give information on interest rates, inflation rates and national debt to the IEA for “national security reasons”. “So we started asking questions about what could be done to compel them (BoG) to give information to us. We got similar Acts from the US, Australia and Sweden to use as signposts to draft the RTI Bill,” he recalls. The memorandum of the first RTI Bill in 1999, under the authorship of Justice P. D. Anim, a former President of The Gambian Court of Appeal, who is renowned for drafting more than 30 new laws, underlines right to information as a fundamental human right. Although the draft bill bears the name of Justice Anim, there was a formidable force of great legal brains that pushed his pen into generating the piece of legislation (now with modifications) that Akufo-Addo seeks to deploy in his fight against corruption. Those legal luminaries are B. J. da Rocha, Justice Charles Coussey, Justice J. N. K. Taylor, Justice R. J. Hayfron-Benjamin and Prof. Kofi Kumado. Akufo-Addo was waxing spiritual with his commitment to construct a National Cathedral for inter-denominational worship, as he announced his unveiling of the architectural design for the project, in his maiden independence address. But when he proceeded thereafter to pledge his commitment to the passage of the RTI Bill, he might not have known he was still in a spiritual realm. Three of the legal luminaries who engineered the RTI Bill – da Rocha, Justice Coussey and Justice Anim – were said to have “prophesied” that if Akufo-Addo ever became President of Ghana, he would pass the RTI Bill. All the three statesmen are dead but Dr Mensa, who was with them throughout the conception and drafting of the bill, bears testimony to their “prophecy”. “We've been waiting for Nana Addo for 22 years to come and pass this bill,” he remarked in a tone drowned in heavy dose of emotion. The RTI Bill had gone in and out of Parliament during the administration of all the past four presidents under the Fourth Republic but it was not passed. Akufo-Addo had made it clear at the beginning of his tenure that he is a man in hurry; such men do not mince words! As a strong believer in and champion of free expression, he must surely appreciate the essence of an RTI law to the development and growth of the country's fledgling democracy. Also, as a former Attorney-General and Minister of Justice, as well as Member of Parliament, he must be very much familiar with the RTI Bill and its tortuous journey over the past two decades without passage. Given the commitment shown by Akufo-Addo to the passage of the Special Prosecutor Bill, there was hope, even if faintly, he would be similarly committed to the passage of the RTI Bill, particularly so when he needs that arsenal in his war against corruption. Prof Kwame Karikari, a former Chairman of the RTI Coalition, a civil society organization that campaigns for the passage of the RTI Bill, says with the consistent and outstanding record of Akufo-Addo in fighting for human rights and promoting freedom of expression, “I expect him to act on his words”. Dr Mensa believes by fulfilling his pledge to pass the RTI Bill, plus the many other good governance initiatives under his administration, Akufo-Addo is a strong candidate for the $5-million prized Mo Ibrahim Award for Achievement in African Leadership. Article 21(1)(f) of the 1992 Constitution provides: “All persons shall have the right to information, subject to such qualifications and laws as are necessary in a democratic society”. An RTI law will only provide the mechanisms for the exercise of this constitutional right with the view to enhancing democracy and stamping corruption in the chest. That is very critical, and as B. J. da Rocha observes, secrecy is one of the most potent enemies of democracy and the best friend and protector of corruption, dishonesty, incompetence and abuse of human rights. “In a democracy, the people are entitled to know fully the activities of the government and its agencies and department,” he submits in the September 1997 edition of Legislative Alert, a monthly publication of the IEA. Prof Karikari shares da Rocha's opinion and believes an RTI law“is not a luxury at all; neither is it a privilege”. This imperative, perhaps, undergirds the pride of the IEA about the RTI Bill: in spite of the significant legislation that it has initiated over the years, including the Whistle Blowers Act, 2006 (Act 720) and the Presidential (Transition) Act, 2012 (Act 845), Dr Mensa affirms with left-right-left head-swing: “We've never done anything more important than this”. After 22 years of wait, Akufo-Addo has lived up to his character as promoter of human rights and press freedom, and also fulfilled a 'prophecy' of three dead legal luminaries, by bringing the RTI Law to life. 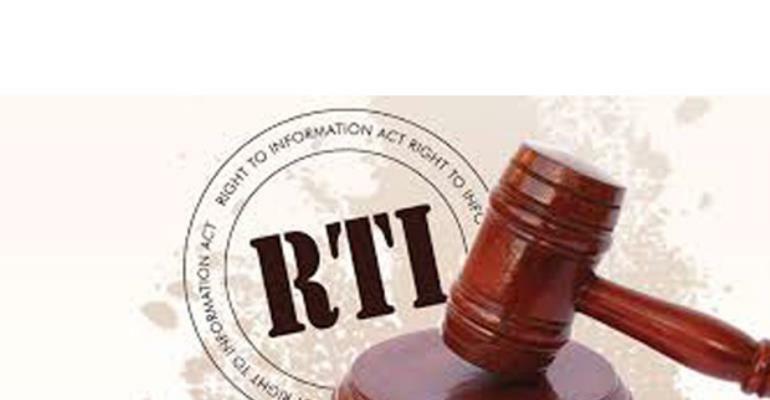 It's good to celebrate the birth of the RTI Law. But the real celebration lies in our collective resolve to keep this law alive!